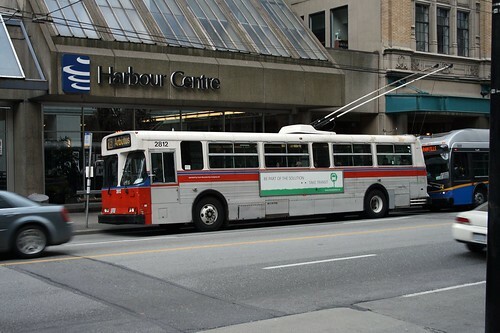 These New Flyer Trolley buses are now 25 years old and for many Vancouverites they have served us faithfully at one point or another during our lives here. Unfortunately they’ve reached the end of their useful life here in Metro Vancouver. They simply don’t meet accessibility standards that we have. For example they have steps at the entries as well as poles in the centre aisle. Since they were being phased out anyways, Translink managed to secure a deal selling them to the city of Mendoza in Argentina for $2300 a piece plus shipping. The parade of them being towed/hauled from the Oakridge Transit Centre to the Fraser docks will continue on throughout Sept 11th.